Learning about endangered species is the first step in helping to protect them. In 1968, a small amphibian landed a spot on the list of “Rare and Endangered Fish and Wildlife of the United States.” Five years later, the Houston toad was included in the passing of the Endangered Species Act and became one of the first amphibian species in the United States, and maybe even the world, to be recognized as declining. Today the Houston toad is no longer found in its namesake city, and fewer than 300 individuals remain in the wild, largely due to habitat loss. The Houston Zoo is working with the US Fish and Wildlife Service, Texas Parks and Wildlife Department, Texas State University and the Environmental Defense Fund to ensure the toad’s survival. The Zoo also works with private landowners to restore habitat and monitor populations in Houston toad counties. But before we can involve a landowner in the project we have to find them–and that’s where the Zoo’s education and outreach programs come in. Mainstream media of course plays a major role in the effort. A recent front-page story in the Houston Chronicle highlighted the need for private landowners to participate in the restoration project. The article generated a dozen responses from interested landowners and raised the profile of the effort. But grassroots efforts also play an important role. 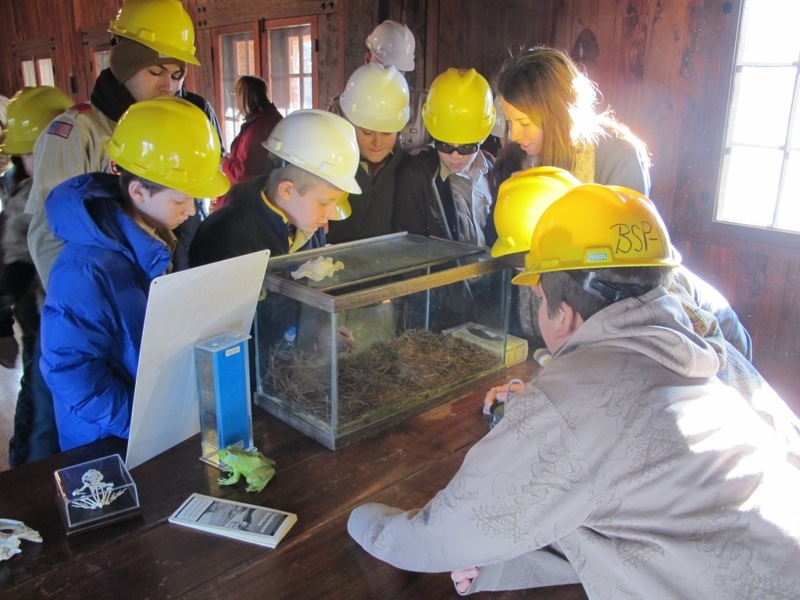 Through our collaboration with the US Fish and Wildlife Service and the Texas Parks and Wildlife Department, the Zoo has developed opportunities for the presentation of education and outreach programs in counties northwest of Houston, the Houston toad’s current range. In late February, a landowner workshop sponsored by Texas AgriLife Extension and the Texas Forest Service brought 200 landowners together to learn about woodland and pond management and how to get involved in the Houston toad recovery project. 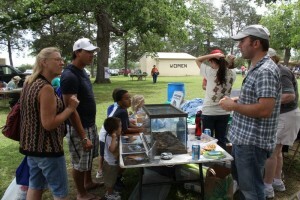 Recently, three members of the Houston Zoo Conservation Department participated in the Milam County Nature Fest 2012. Supported by the Texas Parks and Wildlife Department, the festival drew more than 600 participants from surrounding communities in prime Houston toad range for a day of nature exhibits and demonstrations, crafts and games for children and an opportunity to meet Houston toads and hear from those who are directly involved in the toad’s recovery. It’s one thing to tell the world about the importance of amphibians to the balance of nature. It’s another thing entirely when you see the smile on a child’s face when they have an up-close encounter with an endangered species. Then you know you’ve connected. Last September, a tropical storm in Louisiana, combined with a cold front to the north of Texas pushed an exceptionally dry and windy air mass into the central part of the state. 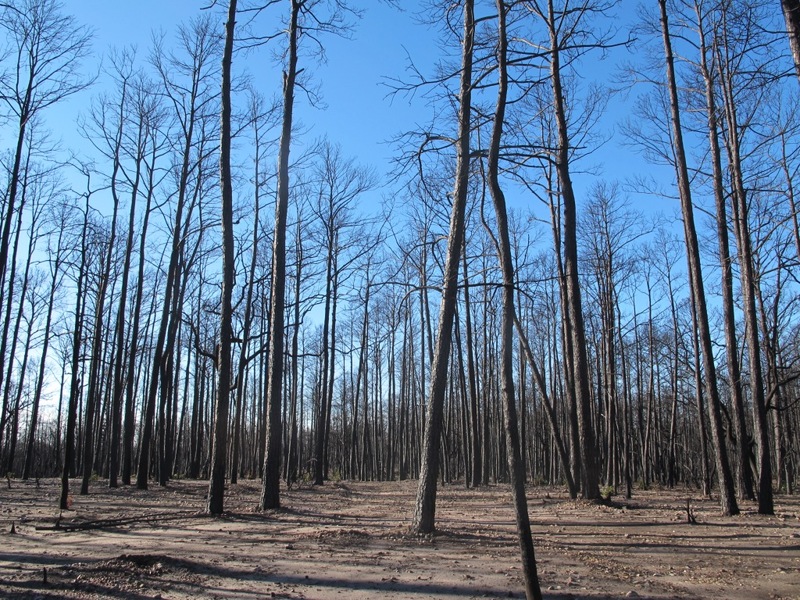 These weather conditions, combined with drought-stressed vegetation in a fire-suppressed ecosystem created the perfect conditions for one of the worst wildfires in Texas history. What is now known as the Bastrop County Complex fire, burned through a total of 34,300 acres including an area near Austin, the state capitol known as Lost Pines and in Bastrop State Park. The area, prime habitat for the endangered Houston toad, experienced what is called a “stand replacing” fire, meaning it totally destroyed the forests and sterilized the soil. The fire dealt a harsh and potentially fatal blow to the Houston toad, whose largest and healthiest populations dwell in the park and adjacent ranch land. Last November, an assessment team of local, state and federal agencies issued a fire recovery plan. On Friday, January 13 representatives from the Texas Forest Service, Texas State University, Texas Parks and Wildlife Department, the Houston Zoo and others gathered at a workshop to discuss next steps, ranging from short and long-term revegetation strategies and erosion control, to post-fire land and wildlife management. Support for the recovery effort was plainly evident as more than 250 concerned area residents turned out for the workshop. The Houston toad’s future in the Lost Pines area is grim. The fire destroyed 40 percent of the Houston toad’s habitat in Bastrop County. The loss of tree canopy and screening cover is, of course, concern to a variety of wildlife species, but most notably the Houston toad, which tends to occupy areas with 60 percent to 100 percent canopy cover. Upland forests in the Lost Pines area serve as occupied and dispersal habitat for the Houston toad and cover/shade is a necessity to facilitate distribution without desiccation. But first steps are being taken toward recovery. On Saturday, January 14 Rachel Rommel, the Houston Zoo’s conservation communications manager led a group of Capital Area Boy Scouts in the first of what will be many efforts to restore scorched areas of Bastrop State Park, laying mulch and leaf litter in an effort to add organics to the soil and restore habitat for insects and toads. 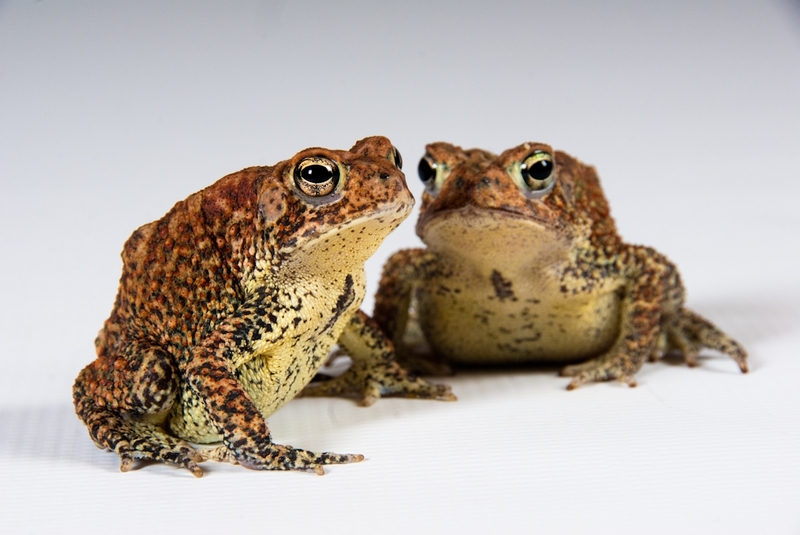 Concurrently, Houston Zoo conservation staff is encouraging landowners with toad-appropriate environments in neighboring Austin and Colorado counties to welcome Houston toads that were head started at the Houston Zoo to their properties. The 2011 fires were a terrible blow for the Lost Pines habitat and the Houston toad, but as long as there are toads at the Houston Zoo and Texans who care, there is still a chance for this endangered species to thrive again in the wild. At the Port of Houston it is the job of U.S. Customs and Border Protection (CBP) agriculture specialists to intercept pests arriving in shipping containers from different parts of the world. Not much surprises the CBP staff, but that changed on Sept. 16 when CBP agriculture specialists working at the Port of Houston’s Bayport Terminal opened up a shipping container that had arrived on a ship from the Middle East. There, sitting quietly on a pallet of imported stone, was a tree frog. The frog was captured quickly and delivered to U.S. Fish and Wildlife specialists who contacted the Houston Zoo looking for assistance to identify the little hitchhiker. Houston Zoo Herpetology Curator Stan Mays and Senior Keeper Chris Bednarski identified the stowaway as a Middle Eastern tree frog, specifically a Savigny’s tree frog. Stan was happy to make the Houston Zoo the frog’s new home. “Our research indicates that only one other zoo has this animal–the Dierenpark Emmen Zoo in the Netherlands and at last count they had 23 of them,” says Stan. The frog showed no ill effects from its long trip in the dark from the Middle East. “From what we were told by CBP staff, the container in which it was found was sealed shut in Syria and had not been opened until it arrived in Houston,” says Stan. Released by CBP to Stan and Chris, the frog was taken to the Houston Zoo’s quarantine building where it made short work of what everyone assumed was its first decent meal in some time. “On its first day in quarantine the frog consumed six crickets,” says Stan. The intrepid traveler was moved from quarantine Nov. 9 to an off exhibit area at the Houston Zoo’s reptile house. “He’s doing fine. He’s big and healthy,” says Stan. 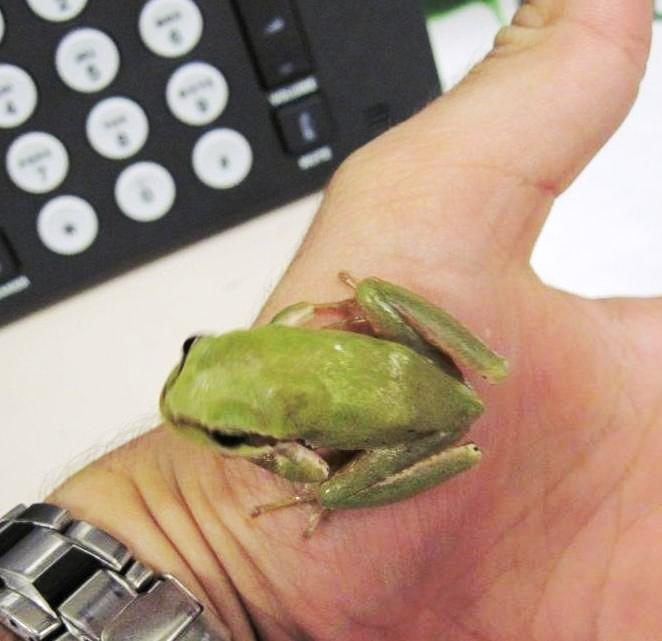 While the little frog may have surprised the CBP specialists, the Savigny’s tree frog is quite common in Iran, Iraq, Israel, Jordan, Lebanon, the island of Cyprus, the Republic of Georgia and Turkey. “They’re the only tree frog found in Egypt,” says Stan. They are native to deserts and semi-deserts and are found near water bodies such as oasis, gardens, bush lands and the edges of mountain forests. The snout-to-vent length ranges between 30 to 47 mm. The Savigny’s tree frog is probably one of the most heat-tolerant species of all the tree frogs, living in very hot and dry regions. When it isn’t their breeding season, these tree frogs are fairly inactive by day. In fact, they may sit motionless for hours, becoming active only in darkness. In the evening twilight, the frogs become active and start to forage and come to water bodies to rehydrate. They hibernate on land from October until the beginning of November to March or April. When they hibernate, they burrow in the soil and other hiding places. As tadpoles, they feed on plant and animal matter in the ponds where they hatched. As adults, they feed on all sorts of insects. The male’s breeding call resembles a cicada chirping. Sixty years ago John Wottring, an amateur herpetologist, and Ottys Sanders described Bufo houstonensis, the Wottring Toad, what is now popularly known as the Houston toad. In the 1960s the toad disappeared from the Houston area as its historic range was taken over by tract housing and commercial development and an extended drought. In 1973 it was included in the passing of the Endangered Species Act, likely one of the first amphibian species in the United States, maybe even in the world, to be recognized as declining. Fast forward to the summer of 2011 and we find that the Houston toad is again threatened by an extended drought and a devastating wildfire that consumed thousands of acres in the toad’s primary habitat, a state park near Austin, the state capitol. The partners in the Houston toad recovery project, the Houston Zoo, Texas State University, the Environmental Defense Fund, U. S. Fish and Wildlife Service, and the Texas Parks and Wildlife Department, are working to assess the impact from a wildfire in early September that incinerated almost 55 square miles near Austin, destroying more than 1,500 homes and taking two lives. The level of destruction was shocking and stunning. Major wildfires had been seen in the area in the early 1900s. But none approached the scale of the fires in September. The fires incinerated a major remaining habitat for the Houston toad, the 6,000-acre Bastrop State Park. The Houston toad is found in isolated populations across nine counties between Austin and Houston. But Bastrop State Park was the toad’s primary habitat. It will be weeks before the recovery team has an estimate of the impact of the wildfire on the habitat and the toads. As the wildlife impact is assessed this fall, the Houston Zoo Houston Zoo toad team will develop “assisted reproduction” techniques to get Houston toads to breed reliably and in large numbers. These procedures will then be used to keep the captive assurance colony alive and genetically healthy, and when the time comes, to produce hundreds of thousands of toads for reintroduction. College interns at the Houston Zoo participating in this summer’s Collegiate Conservation Program worked with Zoo conservation staff to build breeding habitats on Zoo grounds with the goal of increasing the population of Houston toads (photo courtesy of the Houston Zoo). The next generation of wildlife biologists gathered at the Houston Zoo recently to save an endangered species–the Houston toad. College interns at the Houston Zoo participating in this summer’s Collegiate Conservation Program worked with Zoo conservation staff to build breeding habitats on Zoo grounds with the goal of increasing the population of the endangered amphibians. 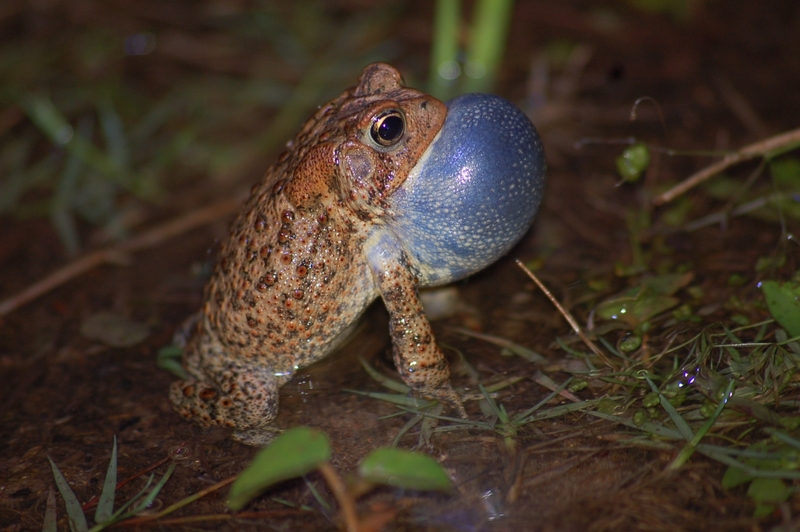 In the spring of 2007, parts of the only known egg strands laid by Houston toads that year were collected for a head start by biologists at Texas State University and delivered to the Houston Zoo. The eggs came to the zoo for several purposes. The first is as a safe guard, or “assurance population,” against a catastrophic event that might cause the Houston Toad to go extinct in the wild. The second reason was for the potential reintroduction of toads into appropriate habitat. It is hoped the captive toads will serve as a source for individuals who might be reintroduced into historical localities. The third reason is for head starting. The eggs hatched and about 1,500 toads completed metamorphosis. We performed three releases in 2007 (May, July and September) and another in April 2008. 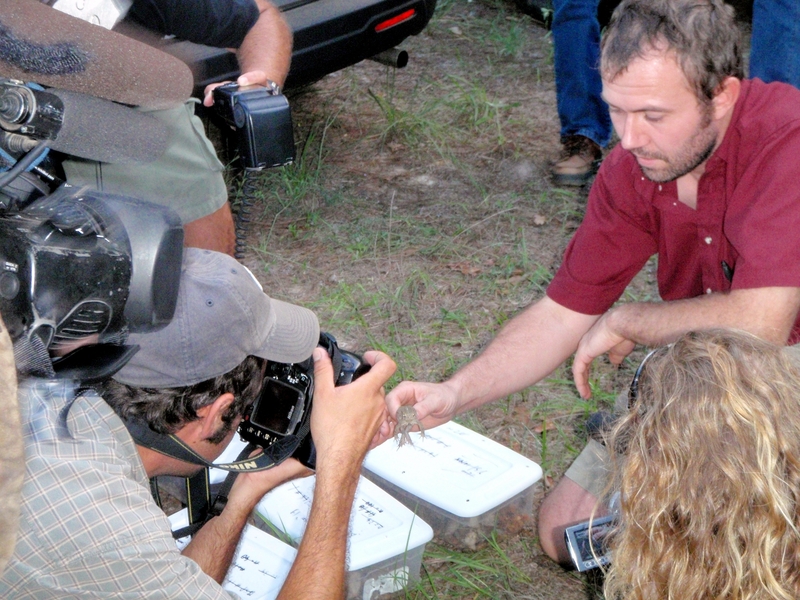 About 1,200 toads were released in total. The remaining toads were kept at the zoo to start the formation of our assurance colony. Since 2007 we have head started and released about another 20,000 toads at sites in two counties within the toads’ range. Now the effort is expanding, and with the help of interns from the Collegiate Conservation Program, the Zoo’s conservation department is moving to the next step–breeding Houston toads ‘the old fashioned way’ (that is, without the use of hormones) in habitats on Zoo grounds. Recently the interns began the construction of a facility in a shaded off-exhibit area at the Zoo that mimics the toad’s natural habitat: sandy soil that allows the toads to burrow until they are ready to emerge for breeding season. Established this year with a $50,000 contribution by the ExxonMobil Foundation, the Houston Zoo Collegiate Conservation Program is the only zoo conservation internship program of its kind in the nation. University students working toward degrees in biology, zoology and environmental science are paid over the summer to study various animals in natural habitats as part of the Zoo internship. In addition to working with Houston toads, the interns are assisting with native Texas coastal prairie restoration and an environmental restoration project in the Big Thicket National Preserve. Amphibians are disappearing worldwide for a wide variety of reasons – pollution, disease, habitat loss and over-consumption. In my home state of Texas, amphibians are being threatened by one of the worst droughts in memory. These animals are small and to the casual observer seemingly inconsequential. But they aren’t. They keep insects in check and are vital to the survival of colorful herons, raccoons and other species. And they are also fun to observe because of their colors, fascinating behaviors and the amazing nighttime calls that made such an impression on Archie Carr. So, what can you do to help preserve these amazing animals? It’s simple. Become a frog watcher. Each year the Houston Zoo holds its annual Texas Amphibian Watch Workshop. Volunteers are trained to collect information about frogs and toads at local wetlands and even in their own back yards. The data is used by the Texas Parks and Wildlife Department in partnership with the North American Amphibian Monitoring Program. This year, individuals and families will gather at the Houston Zoo on May 27 at 6:30 p.m. for a Texas Amphibian Watch Volunteer training session. At the training session, participants will learn the calls of local amphibians, participate in interactive frog activities and then take a hike into the wilds of Hermann Park, the 445-acre green oasis in the heart of the nation’s fourth largest city that surrounds the Houston Zoo. Family frogging is an enjoyable way to get kids and young adults off the living room couch, away from the TV and excited about science and taking care of the environment. If there are no training opportunities where you live, visit the North American Amphibian Monitoring Program on the Web at http://www.pwrc.usgs.gov/naamp/ for information about how you can become a volunteer and for coordinator contact information. Volunteer and give the night a voice. Five years ago, a small contingent of Houston Zoo staff arrived in the El Valle region of western-central Panama. The group was made up of biologists, zoo keepers and members of the Zoo’s facilities department. 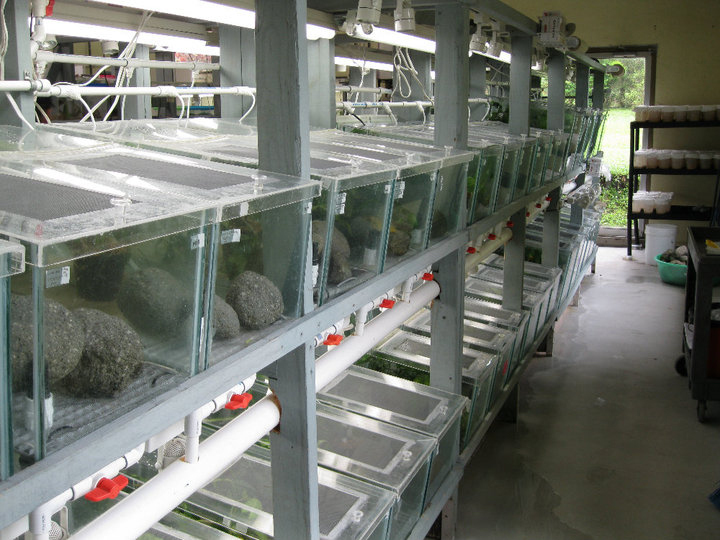 The diverse group had one common goal–create a facility on the grounds of the El Nispero Zoo that would serve as a living repository to prevent the extinction of the threatened amphibian species of El Valle. Unfortunately, amphibian chytrid arrived in the region earlier than anticipated. While construction of what would become the El Valle Amphibian Conservation Center, or EVACC, proceeded, temporary facilities were developed at a nearby hotel as a staging site for a rapid response rescue program. In March of 2007, the off-exhibit portion of the facility was in operation and last year construction was finished on the exhibition portion of the facility. On September 8 of this year, at the Association of Zoos and Aquariums 86th annual conference, the Houston Zoo received the AZA’s Top Honors 2010 International Conservation Award, the AZA’s highest level of recognition, for its leadership in establishing the El Valle Amphibian Conservation Center (EVACC) in western-central Panama. Metroparks Zoo, Dickerson Park Zoo, Fresno Chaffee Zoo, Oklahoma City Zoo, Roger Williams Park Zoo, Rosamond Gifford Zoo, San Diego Zoo, Sedgwick County Zoo, Seneca Park Zoo, Utah’s Hogle Zoo, Zoo Atlanta and Zoo New England. The institutions provided staffing, technical, financial and logistical assistance in a number of phases including facilities (electrical and carpentry), graphics/signage, veterinary, husbandry and invertebrate rearing capabilities. Today, the public exhibition area of EVACC, which opened in April of 2009, exhibits 23 ambassador species amongst an immersing mural depicting the mountainous cloud forest of El Valle. 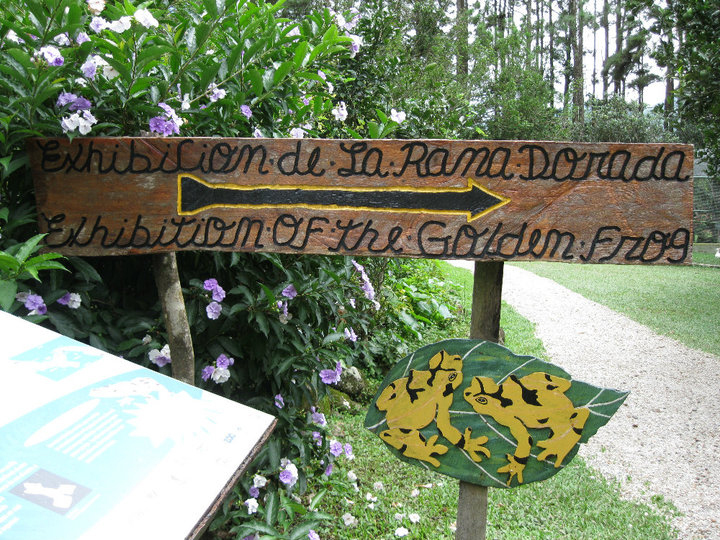 A center exhibit features Panamanian golden frogs and a stream habitat reminiscent of their natural home in Panama. 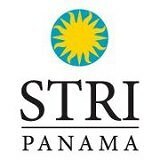 In fact, this exhibit is the only place in the country where Panamanians can view their cultural icon. The EVACC project has reached a wide and demographically varied global audience. It is estimated that at least 10 million people have heard about the global amphibian crisis through the context of EVACC. It’s an enduring example of the impact of teamwork by dedicated zoo professionals. In 2005, as chytrid was sweeping across Panama from El Cope to El Valle, the Houston Zoo rallied other zoos and aquariums, universities and international conservation organizations to begin work on the El Valle Amphibian Conservation Center, also known as EVACC. EVACC led the Houston Zoo to partner with the Panama Amphibian Rescue and Conservation Project. All rescue project partners work together for a common goal: the survival of the world’s amphibians. But at the same time, we each support conservation efforts in our own backyards. For the Houston Zoo, our ‘backyard’ project involves a small toad with a big story. In the late 1940s, Houston, like many metropolitan areas in post WWII America, looked very different from what we see today. Before freeways and tract housing developments, Houston was ringed by dairies and rice fields. It was in that environment sixty years ago that amateur herpetologist John Wottring first suspected that the lengthy trill he was hearing in south Houston fields belonged to an undescribed species of toad. In just a few years, the species was described in the journal Herpetologica as Bufo houstonensis. The Wottring Toad was a reference to the location of its discovery and its discoverer. By 1968, James Peters from the Smithsonian Institute National Museum of Natural History, added Bufo houstonensis, to the list of “Rare and Endangered Fish and Wildlife of the United States.” With little fanfare the toad was included in the passing of the Endangered Species Act in 1973, likely one of the first amphibian species in the United States, maybe even the world, to be recognized as declining. Fast forward 30 years to 2006. 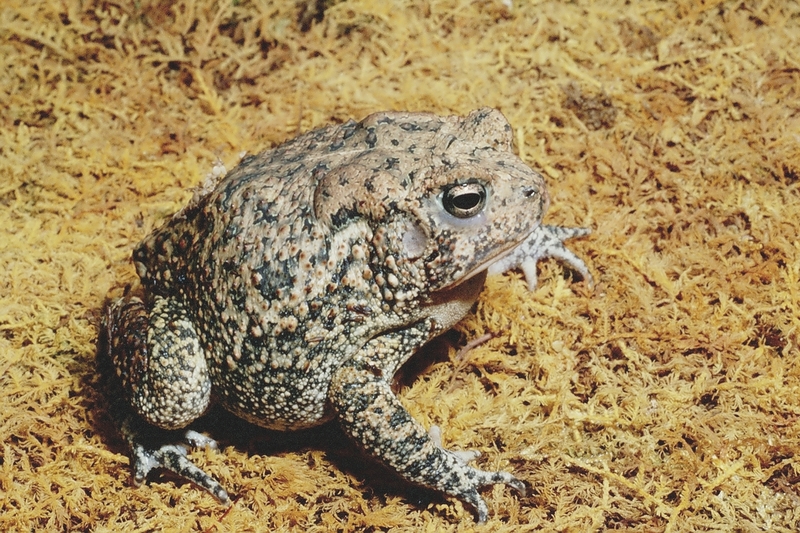 The Wottring Toad is now known as the Houston Toad, likely a consequence of the regional uproar that took place in its namesake city, despite the fact the toad had not been seen since its ESA listing and believed only to persist in four habitat patches within its central-eastern Texas counties. Its habitat is fragmented, reduced in both quantity and quality and entering a time of record drought. Under these dire circumstances, in the spring of 2007, parts of the only known egg strands laid by Houston Toads that year were collected for ex situ conservation by biologists at Texas State University and delivered to the Houston Zoo. The three partial egg strands were acclimated at bio-secure facilities (a modified bird cage at the Houston Zoo), hatched the next day, and started eating a few days later. After a month, the larvae began metamorphosis, and by the fall of the same year, 1,200 toads had been released back to natal ponds. Support to restore the Houston Toad to its historic range has grown over the past three years. In mid-2007, the AZA’s Amphibian TAG steering committee, along with regional experts from across the United States, Mexico and the Caribbean convened at the Ft. Worth Zoo for an Amphibian Ark Species Prioritization Workshop. The Houston toad was ranked a priority and a nascent program was mandated. The Amphibian TAG published the second edition of its Regional Collection Plan in 2008, during the program selection phase Houston toads were elevated to the PMP management category. 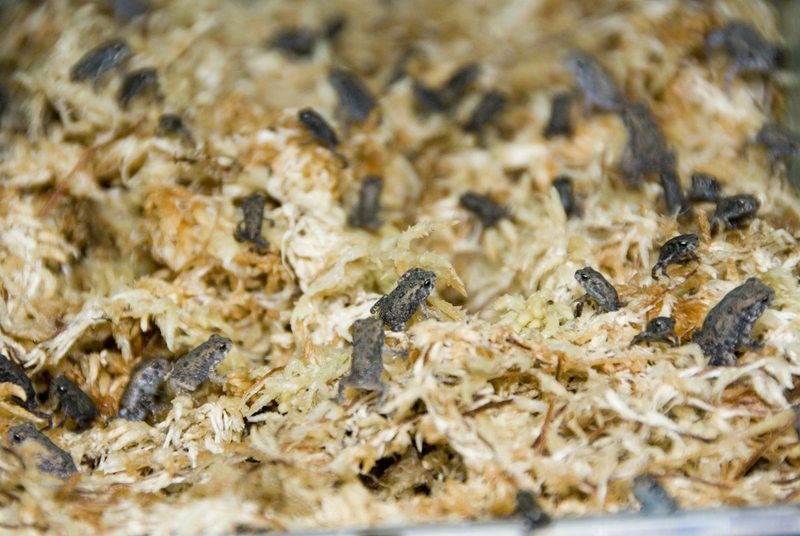 The Houston Zoo’s main role in Houston toad recovery is head starting and the development of a captive assurance colony. This past July, more than 600 Houston toad tadpoles and recent emergents were released in Central Texas and another release of 500 toads is planned in the next 6 weeks. The Houston Zoo’s involvement in Houston toad recovery is just one supportive player in the whole effort. The U.S. Fish and Wildlife Service and Texas Parks and Wildlife Department are the organizations charged with conserving the toad and work with partners such as Texas State University, the Environmental Defense Fund, and the myriad of private landowners who recognize the need for and appreciate having the little toad around. Knowing the situation is grim, everyone is responding with active stewardship, increasing the chance for long-lasting positive changes for the species.